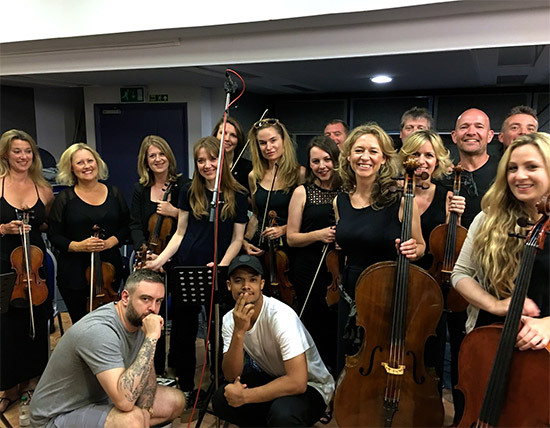 We have recorded a short film score for the incredibly Raleigh Ritchie. Raleigh has written, directed and stars in a short film he has created for Top Man. We loved adding our strings to this, can’t wait for the world to see it!! We also recorded strings for another amazing Chris Loco and Raleigh Ritchie track called ‘Straight Jacket’. Rosie Danvers, Chris Loco and Raleigh Ritchie Air Edel, July 2016.